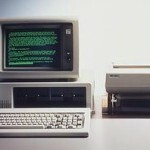 This week is the 30th Anniversary of the IBM PC. Some of us are old enough to remember the early days of Henter-Joyce and even the Video Voice screen reader from a small Berkeley startup called Grassroots Computing. Those were the days, when DOS could talk, and there was no graphical user interface to spoil the fun. 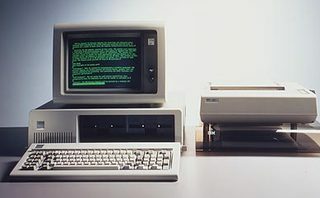 The original IBM press release promoted the first PC as “the computer for just about everyone who has ever wanted a personal system at the office, on the university campus or at home” with an introductory price of $1695. An original review of the new PC said that it was professionally put together and “the whole world and its grandmother will soon be frantically” writing software for the new computer. Leave a comment and let us know about your first computer and screen reader or other assistive technology experience.